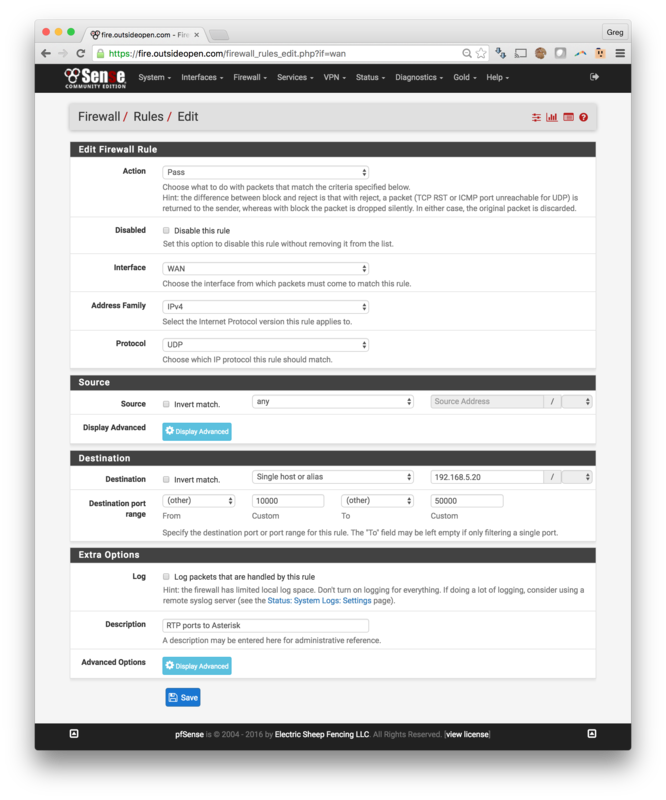 Getting Asterisk VOIP systems set up and working behind a pfSense firewall has become routine as pfSense grows in popularity and as our clients switch from legacy phone systems to Voice over IP systems. 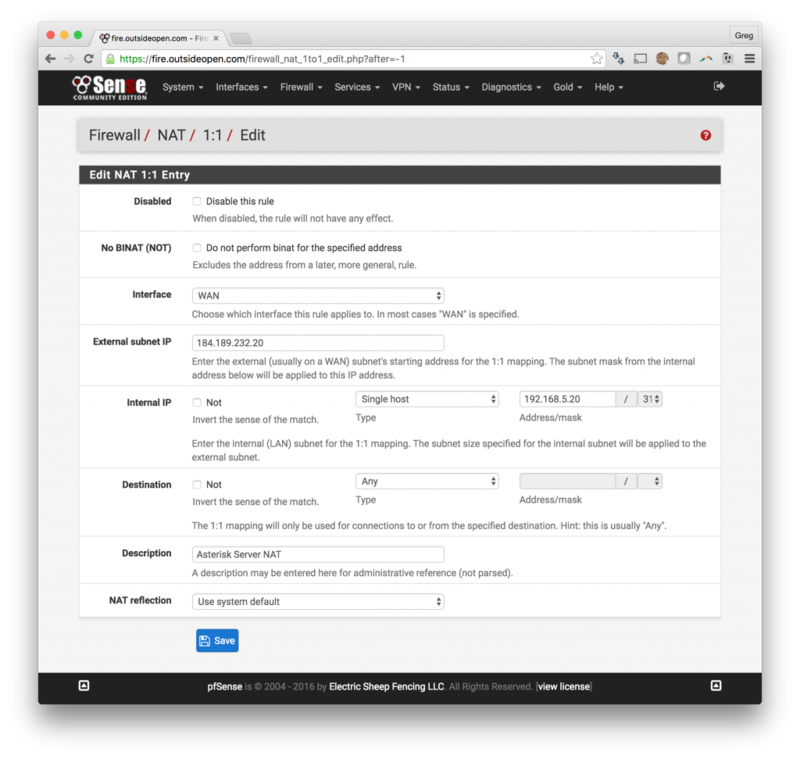 The following setup instructions for opening firewall ports to allow SIP traffic through pfSense has been tested, and works, for Avaya, FreePBX and Asterisk VOIP systems. 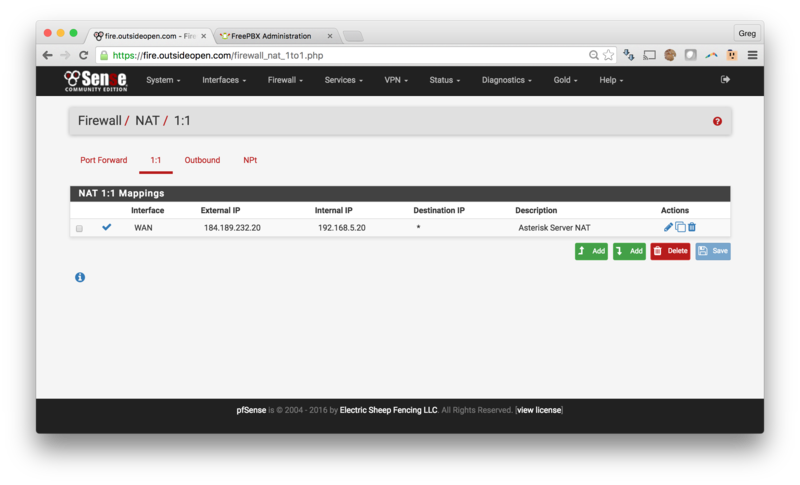 The process of opening the SIP and RTP ports is needed both to connect to the SIP trunk provider and to get audio working in both directions once connected. 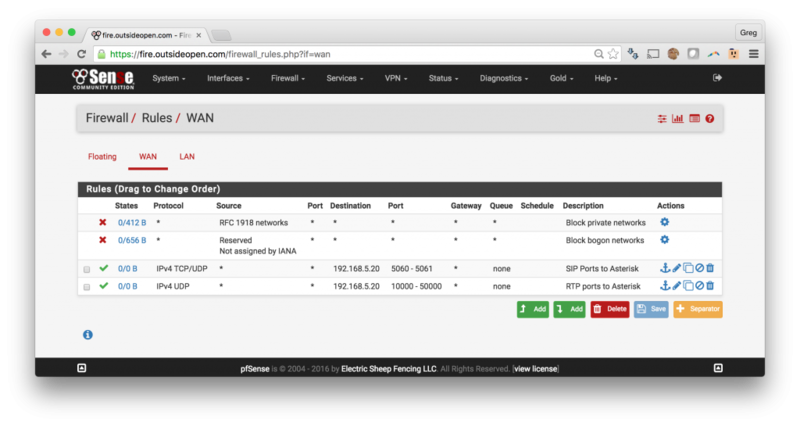 If you have audio only in one direction, take a look at the RTP port settings shown below. 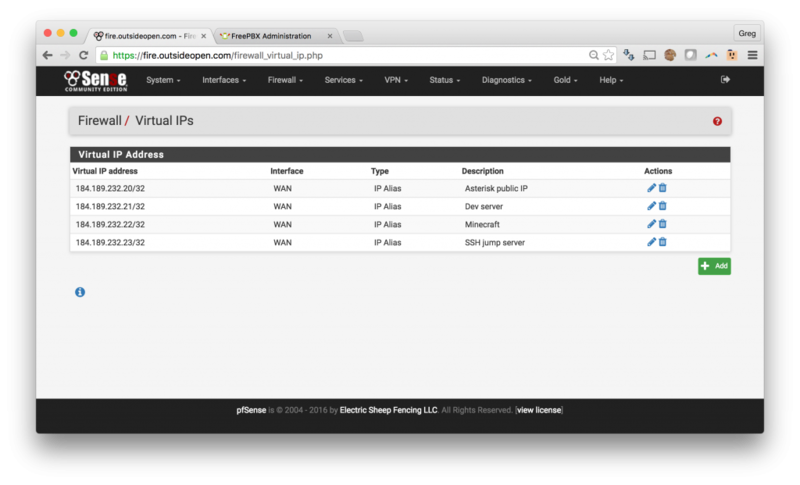 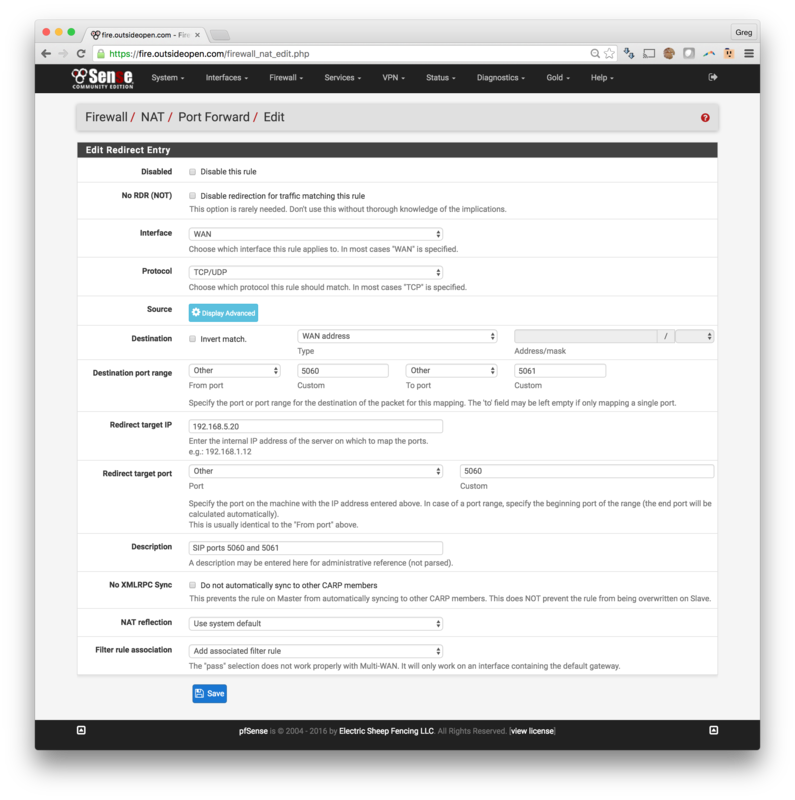 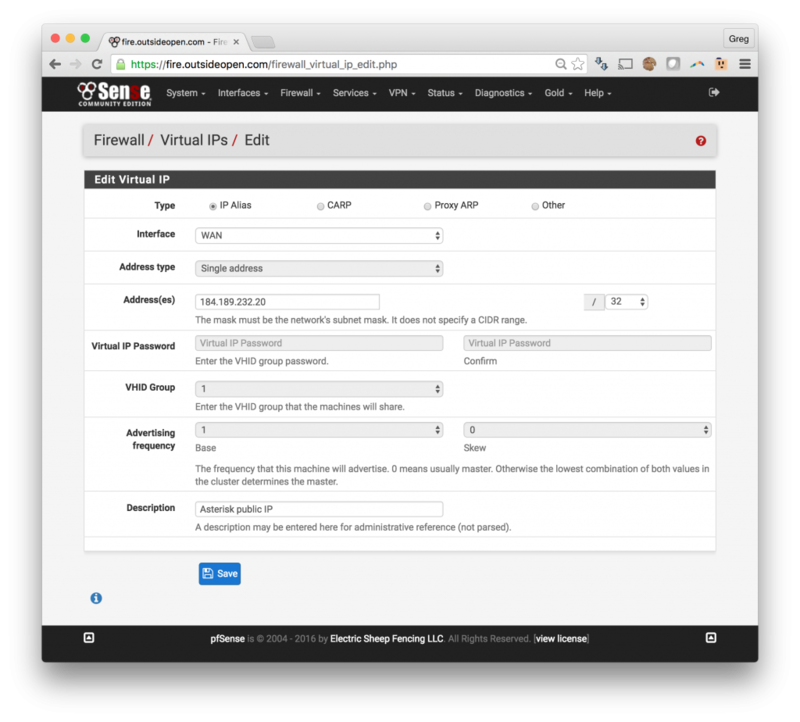 Option A: pfSense in an environment where you have multiple public IPs and with one IP assigned to your Asterisk / FreePBX or Avaya system. 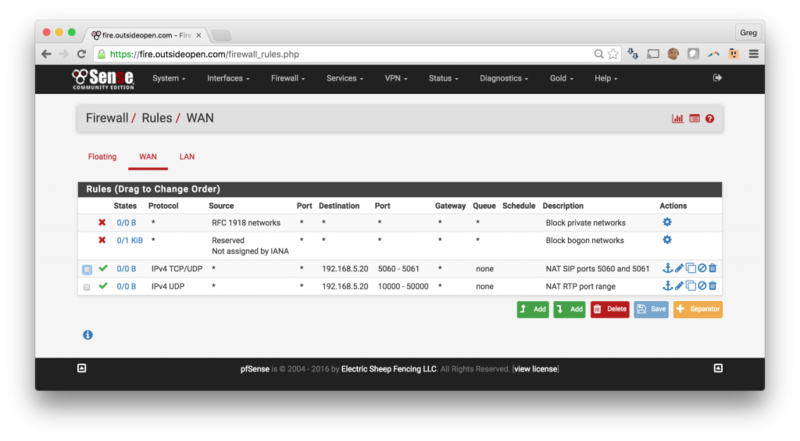 Option B: Port forwarding on pfSense for single IP system like you would have on a home Internet connection. 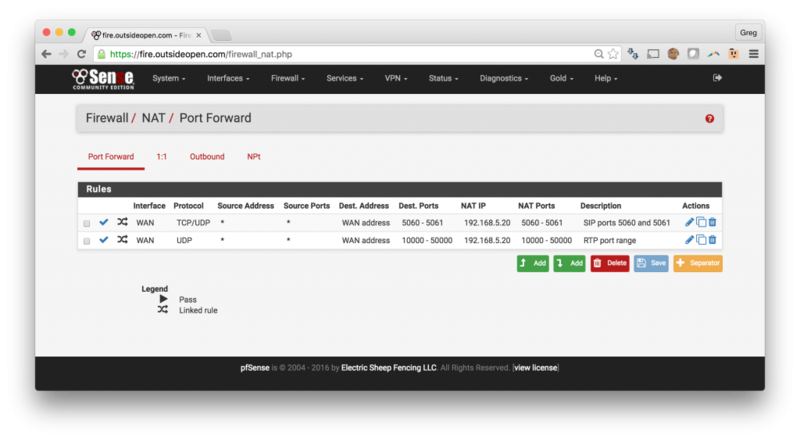 When you have completed these steps, your Port Forward tab will contain the following port forwards.